Wait, The World Series is on? Who Would Buy This Book? Another Bogus Jean Schmidt Poll Anyone? Phillies-Rays World Series; Ratings Disaster? Sportsology: Why does Fox Sports hate tradition? Browns + MNF = Disaster? Somali pirates? What freaking century is this? This is just a brief note about the Phillies bringing a World Series title back to Philadelphia. For the last five years, I have been covering games at Citizens Bank Park off and on during the regular season. I wanted to say that in my time covering the team, everyone I have come in contact with who works for the organization has always treated me with class and respect. (I guess having a press credential dangling from your neck has something to do with that, but anyway). The individuals who work in the press box have always been accomodating, whether it be for media guides, fan giveaways (yes, the media gets them too) and just general information. One man, Art, has been there since the Shibe Park days before Veterans Stadium was built. I am happy for them. The announcing team (Harry Kalas, Chris Wheeler, Denny Martinez, Garry Mathews, Tom McCarthy, Larry Andersen and Jim Jackson) have always been nice to talk with as well when I run into them in the press box before and during games. The man who I'm happiest of all for, besides Jamie Moyer, who finally got his ring after 22 seasons, is a man by the name of Tom Burgoyne. Tom is the man who portrays The Phillie Phanatic. He began as an understudy to the original Phanatic, Dave Raymond, who now appears as a character named Reggy in minor league parks across the country. Tom stepped into the role full-time after the 1993 season, when the Phillies won the NL Pennant but lost to Toronto. I met Tom at a book signing somewhere in PA (he was out of costume), but returned later in the day as his alter ego, causing mayhem in the hotel lobby. Tom works hard entertaining the phans, er fans, and is a lifelong fan of all the Philadelphia area teams. He is just as much a part of the success of the team as the players are in my mind. When I work games, I always make it a point to visit Tom in his dressing room during the game while he's taking a break. I see him sitting there in a chair with the costume half-off, dripping with sweat, sometimes planning skits and routines with other actors, grounds crew members, or young fans. He also makes appearances while the Phillies are on the road at chairty events and the Phils' minor league affiliates in the area. He loves meeting and interacting with Phillies fans and loves being a part of the game and adding to the fans' experience. I couldn't be happier for Tom, and as a special treat, I have extended an invitation for him to come on The FDH Lounge this Sunday night to detail the magical season he was a part of. He is looking forward to come on and hopefully his schedule will allow that to happen. Finally, a tip of the cap to former Phillies third base coach John Vukovich. John spent over twenty years in the organization as a player and coach, and spent a season in the front office. I had the chance to meet him and shake his hand one time two seasons ago in the press box. He was a regular caller every year to the Mike and the Mad Dog radio show here in New York, and was always an entertaining listen. John died of brain cancer last year at a fairly young age. At the time, everyone I had talked to felt he was getting better, but he had a relapse and, if memory serves, passed away before spring training in 2007. The organization was saddened by his passing and I hope someone remembers to mention him when they speak at the parade tomorrow. So as Chris Berman would say........"Cleveland, you're now on the clock..........."
On Wednesday’s FDH Wednesday night on SportsTalkNetwork.com, we will take our listeners and viewers on yet another trip all around the sports landscape. On THE FANTASYDRAFTHELP.COM INSIDER (7-9 PM EDT), after our examination of this week’s Top 5 waiver wire selections, we break down every game on the slate for NFL Week 9. Then, in the final half hour, get ready for a little “RESPECT MAH ELIGIBILITAH” as we preview the multi-position-eligible players for fantasy baseball in 2009. Next, on THE GOON SQUAD (9-10 PM EDT), we examine a stirring celebration of history this past week in hockey: the Canadiens’ Builders Row inductions of the three coaches who spanned four decades and might be the greatest triumvirate of bench bosses in the game’s history. From there, the question of the legitimacy of head shots is coming under more question; we’ll give you our take on the debate. We close by taking a general look back at the first month of what shapes up to be a very exciting season. Join us for a great Wednesday night as always, only on STN! It’s not that I am not a fan of baseball, that is not a true statement. However, the popularity of baseball has gone by the wayside, which is sad if you consider that it is allegedly the “American Pastime.” However, MLB reached its day of reckoning when the Tampa Bay Rays upset the Boston Red Sox to have the matchup of the Philadelphia Phillies-Tampa Bay Rays in the World Series -- which will live in infamy due to the ratings. How in the hell did baseball fall this far? I know a lot of you out there are probably going to say that the 1994 strike is at fault. This does seem to be a factor, but that was 14 years ago. The NBA was locked out in 1999 and it has steadily gotten back into the public mind. Maybe the voice of Fox baseball Joe Buck is partly right that we as Americans have so many options in our lives that sitting down to watch a three-hour baseball game is too much. Think about when you were a kid, without the internet/DVD’s/etc., it would be assumed that you were limited in your options and your only option was to watch the game. Now you can catch your favorite episode of your favorite sitcom on the Internet and watch that hot Britney Spears video on YouTube. You can do both of those while keeping up-to-date on the game on your favorite sports site gamecast. It really is sad at some points to see MLB fall this farm where episodes of Heroes, CSI, How I Met your Mother, The Office, Prison Break and House all top the ratings for Game Three and Game Four. In the end, maybe baseball in the words of Taylor Swift has “Teardrops on their metaphorical guitar,” but in the end, it isn’t self-inflected, but a sign of the times and the change that we have undergone in the 2000’s. 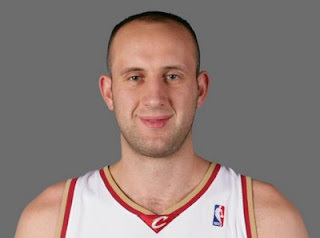 Cavs center "Z" and actor (best known for this VW commercial and stuffing the dude in the wood chipper in "Fargo") Peter Stormare. 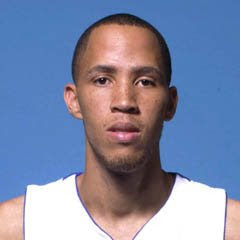 The beneficiary of USA Basketball's decision to "spread the wealth around" to unqualified players for the 2008 Olympic hoops team, Tayshaun Prince, and the man who wants to spread your wealth around, presidential candidate Senator Barack Obama. 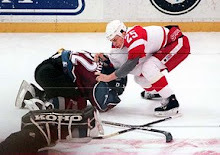 Red Wings Grind Line icon Kirk Maltby and erstwhile former Packers QB Brett Favre. 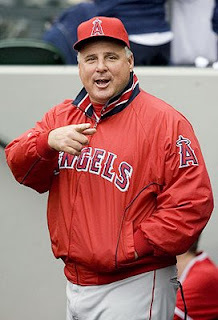 Angels manager Mike Scioscia and fellow "Mike" and SoCal native, radio talk show host and columnist Mike Reagan. Former California congressman Vic Fazio and Republican senator and presidential candidate John McCain. 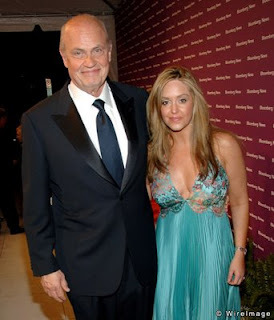 Underachieving Vols football coach Phil Fulmer and maritally overachieving fellow Tennessee native, former Senator Fred Thompson. 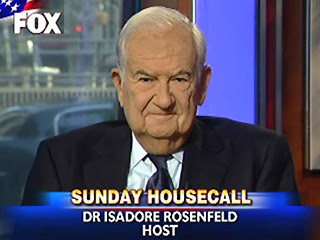 Cranky left-wing actor Ed Asner and Fox News teevee doc Isadore Rosenfeld. 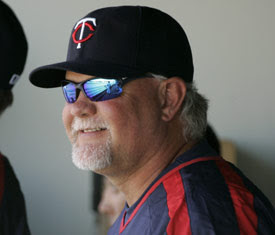 Twins manager Ron Gardenhire ... and pro wrestler "Big Poppa Pump" Scott Steiner. 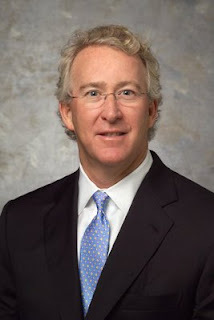 Former Saints QB and genetic source of other great QBs Archie "my son hates San Diego" Manning ... and natural gas huckster Aubrey McClendon, who schemed the Sonics out of Seattle and is always on my TV begging folks to have the government get behind (read: pay for!) his natural gas plan. In an effort to promote the defeat of Victoria Wulsin, Jean Schmidt has blatantly once again made false and misleading statements and showed a reckless disregard for truth by fabricating the financial position of Victoria Wulsin's campaign. I have prepared an Ohio Elections Commission complaint, naming Jean Schmidt, the Schmidt for Congress Committee, Schmidt spokesperson Brian Pfaff and blogger Matt Hurley as defendants. The compliant will be filed on Monday. On October 16, 2008, blogger Matt Hurley posted a press release from Jean Schmidt verbatim. The release was dated Thursday, October 16, 2008 and included "Paid for by Schmidt for Congress Committee." The release headline was: "Schmidt Enters Final Stretch with 14 point Lead and $40,000.00 Money Advantage -- New Schmidt Poll Shows Commanding Lead with Few Undecided Voters Left." The title of the release includes a fabrication of the truth, since Jean Schmidt clearly did NOT have a $40,000 money advantage on October 16, 2008; instead, Victoria Wulsin had a $22,310 advantage. "Further, we enter the final weeks with a significant cash advantage during a period where cash very much matters,” Bruce Pfaff, Schmidt Campaign spokesman said. Federal Election Commission filings show that somehow the Wulsin Campaign spent $440,000 in July, August, and September, leaving the campaign treasury with almost $50,000 fewer dollars than Schmidt. That amount, $50,000, equates to nearly a week of television advertising. “It is borderline malpractice for a campaign to spend that much money before the battle. Her campaign seems message less and clearly adrift. Wulsin’s attack commercials have driven her own negatives up to record levels, all the while Congresswoman Schmidt enjoys the record high approval ratings,” Pfaff added. “Her own advertising has made Victoria Wulsin the least popular candidate running in all of Southern Ohio. She has spent $440,000 to earn the title of least-liked politician in our area. If she keeps this up with what little money she has left, she’ll be competing for who comes in third with the “Independent,” Pfaff concluded." There are multiple fabrications of the truth in the above statement from the Schmidt campaign. Clearly, Schmidt does NOT have a money advantage, this is a blatant lie, i.e. a "false statement" under Ohio law. 3517.21 Infiltration of campaign - false statements in campaign materials - election of candidate. (B)(10) Post, publish, circulate, distribute, or otherwise disseminate a false statement concerning a candidate, either knowing the same to be false or with reckless disregard of whether it was false or not, if the statement is designed to promote the election, nomination, or defeat of the candidate. Clearly, the statements in the Schmidt press release are (1) false statements and (2) designed to promote the defeat of a candidate. 3517.992 Penalties for violations on or after 8-24-95. (V) Whoever violates section 3517.21 or 3517.22 of the Revised Code shall be imprisoned for not more than six months or fined not more than five thousand dollars, or both. First, since Schmidt has a histroy with the OEC and has previoulsy been found guilty of violating this section of the code, so expect the OEC to go for jail time for Schmidt on this one. Hopefully, Matt Hurley and Brian Pfaff will also receive a severe punishment for their roles in yet another fraud being perpetrated on the public by Jean Schmidt. The next step is to file the formal complaint. I'll wait until mid-day Monday to file, since it's likely the Wulsin camp or the DCCC will beat me to the punch, since I have broken this story here on The FDH Lounge Multimedia Magazine. After the complaint is filed, there will be a probable cause hearing within two days and a formal hearing within seven. I am hopeful that Jean Schmidt is convicted before the election. In a previous post, I stated that I want to see Jean Schmidt go out in the "perp walk." Thanks to Matt Hurley (the only person I could find that posted her post verbatim), I may finally get my wish. This is a clear sign that Schmidt knows she will lose this election. She has released bogus polls, been destroyed in the debates, her supporters are all silent now, and she knows she is not the best candidate. I hope the State of Ohio has a nice warm cell ready for Jean once the election is over. Time is finally running out on Jean Schmidt, and her biggest supporters KNOW this. Alas, they can do nothing but keep silent and watch as Schmidt's campaign is "stuck in a ditch way out in the middle of nowhere." Where is Matt Hurley with another Schmidt bogus poll press release? Jean is claiming to be 14 points ahead with 52%, when she won the last election by 1.06% (without David Krikorian in the race) and Schmidt polled this summer at a whopping 24.2%. Where is Tom Blumer praising Schmidt for voting against the bailout and continuing to claim that Schmidt is not a RINO, then having to admit he was "let down" after she voted FOR a worse version of the bill that added an additional $150 billion in pork? Where is Dave the Nix Guy? He stated "I am quite proud of my 2nd district Rep, Jean Schmidt. She probably just secured her reelection with just this vote alone" Nix Guy then went dead silent when Jean changed her vote. Where are they, you ask? Well, I can tell you that you can stick a fork in all three of them because they are DONE! Just as Jean Schmidt is finally done as well. Their credibility is SHOT because they trusted one of the most vile and deceitful people on the planet, good old Jean Schmidt. Jean Schmidt is nothing more than a shill for the RINO NeoCon agenda. The three aforementioned bloggers should have figured this out long ago. These three guys try to act like conservatives, but the scoreboard at the end of the day states otherwise, because they have become shills for Jean Schmidt (ironic they are shills for a shill). The really SAD thing is that David Krikorian truly believes in a conservative agenda, one that likely aligns very well with the purported views of these guys. They should EMBRACE David as thier candidate of choice RIGHT NOW before it is too late. The really funny thing is that none of the above can find a way to criticize David on any of his positions on the issues because they claim to believe what he does. So they are forced to throw racial slurs at him calling him the "Angry Armenian" and blasting him for questioning Jean's claims of being struck by a hit-and-run driver. In my mind, the Jean Schmidt hit-and-run driver will be found about the same time the REAL killers in the O.J. Simpson case are tracked down. If a person has lied about a fake college degree for 17 years, gotten caught, lied on TV as part of the cover-up, and been reprimanded by the elections commission for a "reckless disregard for truth," then why is it not logical to question ANYTHING she says as being true? (Note that when I heard about this, my initial reaction was "that's awful, I don't want Jean to get taken out like that, I want to see her do the perp walk some day with her hands cuffed in front of her as she is marched into custody.") It was a logical question by future Congressman Krikorian and many of us logically thought the same thing, so blasting David for any remarks on this subject is nothing more than a Schmidt slimeball tactic. This week, Jean attempted to manipulate David Krikorian and Victoria Wulsin into signing a "clean campaign pledge." Here is the problem: something is not an "attack" per se if it is TRUE! I commend Victoria Wulsin for sharing the TRUTH about Jean Schmidt; people should know everything about her record. Jean Schmidt has embarrassed us all and Vic has the proof on her website embarrassedbyschmidt.com. But guess what, people? David Krikorian has already been running a clean campaign focusing on the issues. His response to Jean's request was: "First of all, let’s be clear, I haven’t run any attack ads against either of my opponents and do not plan to." David's additional response to Jean's request was: "Let's do a third debate instead." However, David literally CRUSHED Jean Schmidt in the last two debates and her puppet-masters want NO PART of a third beatdown from David. David Krikorian is far and away the BEST candidate in this race. People need to get that, and all they have to do is take a brief look at the Krikorian Plan and there is ZERO doubt that they should vote for David. When David is elected in 11 days, the residents of Ohio 2 can once again be proud to tell people who their congressperson is. The taint and embarressment of having Jean Schmidt will finally be washed away. It's finally checkmate for Jean Schmidt, folks, and David Krikorian is the grandmaster that will finally bring one home for the good guys. We are finished as Americans. Two years have passed since the initial "crime", and a year and a half after the case was closed, Crystal Mangum is back in the spotlight, proclaiming her innocence once more. Mangum has penned a memoir, called The Last Dance for Grace: The Crystal Mangum Story, about her "attack" by three Duke lacrosse players back in March 2006. Not only were Reade Seligmann, Collin Finnerty, and David Evans all proven not guilty, they were found innocent on all counts due to the constant inaccuracies in Mangum's account. She feels that she needs to defend herself and to tell her side of the story. I want to know who is actually going to purchase this book. The book is filled with lies and inconsistencies. The fact that she hasn't been arrested and locked up for a long time for leading on not only the judge, the jury, and the prosecutors, but all of America. She was not raped. She was not beaten. The only thing she was was high on Ambien, methadone, Paxil and amitriptyline. The problem with America is that people will go out a buy this fictional book. Whether they agree with Mangum's side of the story or not, you are filling her wallet with undeserved cash. The same people who will buy this are the ones who pre-ordered O.J. Simpson's If I Did It. Do me a favor. Scratch that. Do the former Duke lacrosse players and their families a favor and DO NOT BUY THIS BOOK. If you want to read a book filled with incoherent ramblings and inaccuracies, then pick up The Audacity of Hope. Speaking of the Duke lacrosse case, I still haven't heard an apology from Al Sharpton. Not only did he accuse the players before reading the facts, Sharpton also turned it into a racial case, since the "attackers" were white and the "victim" was a poor black girl. But when white police officers in Philadelphia were shot and killed by black criminals based on the color of their skin, Sharpton is more concerned about taking down Don Imus. Al, just go away. WOW is my first impression of David Krikorian. He's on top of his game and ready to be the only independent in Congress next year. His debating skills are outstanding, and his views on the issues are right on the money with those of the people of Ohio 2. A vote for David is like picking your smartest friend, adding 20 IQ points and then sending that person to Congress. I am convinced after tonight that (1) David will win this election and (2) he will be the best Congressman in the history of Ohio 2. Below is my scorecard from tonight. In case you missed it CET has a webcast. 90's: A score in the 90's indicates that you felt that the speaker did a superb job. You thoroughly enjoyed listening to the speaker and would go out of your way to hear him or her again — if you were in the habit of listening to speeches. You would be delighted to have this person as the advocate of a cause that you supported. David was the HAMMER tonight. He was masterful at working in strong rebuttals and his positions on the issues made sense. I guess that is what happens when you get an over-qualified person running for Congress. Anyone that watched the debate will be casting a vote for David, there is little doubt about it. 70's: This indicates an average speech, neither very good nor very bad. You would not mind listening to this person again but you would be particularly pleased about it either. As an advocate, this person would not strengthen your cause. Wulsin made some good points but her view from the far left is not in-line with the views of the people of Ohio 2. I listen to Vic and it's like having my mom give me a talk. She's a super-nice lady, and a good person. If it wasn't for the fact that David is the MOST qualified candidate then I could vote for Vic, I trust her.... but her views on so so many subjects are too far to the left. Vic should move to a liberal district, she would do a fine job representing the liberal agenda. However, Ohio 2 is NOT liberal, so Krikorian is the ONLY option for any conservative. 50's: This mark indicates that the speech failed completely. Something must have gone very wrong. You would go out of your way to avoid listening to this person again. I have not had a root canal in about 10 years but I would opt to have another one in lieu of EVER hearing Jean Schmidt speak again. She comes across as a liar, and since she's already been convicted of fraud by the Ohio Elections Commission for a "reckless disregard for truth" and making "false and misleading" statements there is little doubt that the dribble she speaks was prepared for her and she has NO CLUE about the issues. To call Schmidt the greatest embarrassment in Ohio 2 history would be the understatement of the decade. How can ANYONE EVER vote for this woman if they actually hear her speak? Jean Schmidt is HORRIBLE, and likely has an IQ in the 90's (if she is lucky). NO ONE should EVER vote for Jean Schmidt and if you take the time to listen to her you will know why. Scores by category are provided below. I am currently in the process of tabulating results, but I wanted to share the criteria I am using to score tonight's 2nd Congressional debate between David Krikorian, Jean Schmidt and Victoria Wulsin. The good folks at the MSDA have what I believe is a very sound system and structure for scoring. Below is what I am utilizing to score this; results will follow shortly. 80's: This score indicates that you felt that the speech or reading was very good, although there were a few flaws either in the delivery or the content. You would be pleased at the prospect of hearing this debater again. You would also be pleased to have this person as the advocate of a cause that you supported. 60's: You would give this score to a weak speech. It would indicate major flaws in delivery and content. You would not look forward to listening to this person again. 50's: This mark indicates that the speech failed completely. Something must have gone very wrong. You would go out of your way to avoid listening to this person again. Please do not give a mark below 50. Listed below are some questions that you might ask yourself when marking the various categories. If you just write an overall mark, you should still consider all of these points. Analysis: How well does the debater understand the issues at hand ? Is he/she able to separate the argument from the rhetoric? Does he/she recognize and focus on the key arguments in the debate? Organization: Does the debater proceed in a coherent, fluent manner? Does he/she introduce and conclude his/her case well? Are his/her arguments easy to follow? Evidence and Logic: Does the debater provide sufficient justification of his/her case, either by means of factual evidence or logical reasoning? Is the reasoning sound? Debate Skills: How effective is the debater's presentation and overall approach to the debate? Is it suitable? Is his/her choice of language good? If appropriate, are wit and humour used well? Does he/she have presence and flair ? Is the general approach to the debate (e.g. humorous, serious, concerned) appropriate and is it done well? Style: How well does the debater deliver his/her speech? Does it appear to be spontaneous or is it merely being read? How effective is his/her eye contact, gestures etc.? Is the delivery polished or is it rough around the edges ? Are the tone and pace appropriate for the speech? Does the voice vary suitably, hold your attention, and enhance the arguments? Refutation: How effectively and how thoroughly does the debater refute his/her opponent's case and defend his/her own? This should occur BOTH in the official rebuttal and in the constructive speeches. Each category is marked out of 20.When marking a category, the following rating should apply EXCEPT if it produces a total which is not appropriate given the guidelines for overall totals.If you prefer, you may just give an appropriate letter grade if you are assigning an overall total. On tonight’s FDH Wednesday night on SportsTalkNetwork.com, we begin with THE FANTASYDRAFTHELP.COM INSIDER (7-9 PM EDT). Right off the bat, we have a look at some developments in the world of fantasy football that have at least an outside chance of leading to a nightmare scenario for the business down the road. We then examine your FDH Top 5 Waiver Wire picks for NFL Week 8 and get the lowdown on the fantasy injury picture from STN’s Ben Chew. From there, we examine Week 8 NFL matchups game-by-game from a fantasy perspective, which will take us into the final half hour of the show. At that time, we review some material from last week’s FDH Fantasy Newsletter relating to trends in Major League Baseball that we have tracked for the past few seasons. How is MLB’s process of “detoxing” affecting the fantasy game? We have the numbers. Then, on THE GOON SQUAD (9-10 PM EDT), we break down some of the hot news that is circulating right now. From the coaching shakeup in Chicago to Steve Yzerman’s new job leading the Canadian Olympic program into the 2010 Games on home ice to the tragic and shocking passing of young Rangers prospect Alexei Chrepanov, we have our thoughts on all of these matters. In our second half hour, the start of the NHL season goes under the microscope. Which teams have been the biggest surprises, good or bad? Which players? We’ve got it all for you tonight if you’re a hockey fan looking for a one-hour jam-packed look at the world of big-time hockey! Don't miss the showdown in Ohio 2 tonight on CET. If you miss it, then click here to watch the webcast. This debate is key to the Ohio 2 Congressional race. My sources tell me that the latest polling numbers are in and this is THE 3-way race to follow in the country. I will follow up with an analysis after the debate. This is a great chance for us all to determine who the best candidate is in Ohio 2. I said that it was highly improbable. As a fan, not an analyst, I have never been so happy to be wrong. The Rays have eliminated the Red Sox and are going to the World Series! Rarely if ever in recent history has a team averted a historic “choke” in Game 7, but Tampa managed to do so, and if you think about it, it’s kind of fitting that a young, come-from-nowhere (not in terms of talent, but in terms of shockingly sudden collective maturation of young talent) team that has been compared to the ’69 Mets would be the team to get it done. In other words, the accomplishments of this team are already historic, so why not this Tampa Bay squad when it comes to having to climb out of a steep psychological hole caused by kicking away a World Series near-miss in Game 5? Until the Rays’ stunning collapse at Fenway, I was already contemplating an upcoming Tampa Bay-Philaldelphia World Series (show me anybody who had THAT daily double on their futures bets at the start of the season!). I’m always interested in the storylines for a big series. Certainly, at first blush, the clash of these cities’ franchises in the NFC Playoffs and NHL Eastern Conference Finals this decade establishes some small competitive connection. A World Series would give Tampa its third world championship this decade to go along with the Bucs and Lightning, while Philly is still searching for its first world title since the ’83 Sixers (as a Clevelander, my heart bleeds for them!). But on a deeper level, this fresh matchup is most interesting because you really have to scratch well beneath the surface just to see how fresh it really is. I started digging through recent World Series battles to see if I could find a precedent for two teams dominated by a core of young talent making it to the end without having made any deep runs previously (Philly was in the NLDS last year for their first postseason appearance since ’93, but they were swept quickly by Colorado, so this is the first time these players have been in for longer than the proverbial cup of coffee). The few times that teams deemed relative fresh faces had been around for the final round in recent years, they had been knocking around the playoff picture for a few years (i.e. White Sox-Astros in ’05). Angels-Giants in ’02 probably comes the closest in recent years, although San Fran had been in the playoffs a few times with that core; otherwise, you almost have to go back to 1986, with the Mets’ vast young talent on one side and the Clemens/Boggs/Hurst troika on the other side. Boston had a veteran core, though, even if they hadn’t made it to the postseason since 1975, so even that analogy falls apart somewhat. In other words, we haven’t really seen anything like this at all in recent decades, a celebration of the game’s future becoming the present before our very eyes on this stage, so it is something to celebrate. With the American League’s decided superiority in recent years and the fact that Tampa just knocked off the world champions, an extremely resilient club to say the least, the Rays must be considered the favorites right off the bat before any further analysis. And that is to say nothing of the rust that the Phillies may well be collecting right now. Ask the ’06 Tigers what it’s like to sit on your recliners for a week waiting for the other league to sort out its business – or see how the Rockies enjoyed their wait last year. Additionally, Tampa has the home field advantage and that madhouse should be rollicking for all of their home games – and Philly, typical of most NL teams, comes out on the short end of the stick as far as whether the DH is used or not because they don’t have one more big booming consistent bat on their bench while the Rays lose little without their DH (sorry, Cliff Floyd!). The starting pitching is a double-edged sword. Surely Cole Hamels is the best of the bunch on either side, based both on his abilities and the extent to which he has advanced in his career. With the Phils’ long rest, he could pitch three times in this series and probably not lose much effectiveness. But Tampa’s Scott Kazmir and Matt Garza show signs of moving up to that level at some point through greater consistency and both have shown flashes this postseason of being able to go toe-to-toe with a Hamels. With Jamie Shields and Andy Sonnanstine, the Rays have the definitive edge over a Philly rotation that is like Forest Gump’s box of chocolates with Brett Myers, Jamie Moyer and Joe Blanton. Charlie Manuel would do well to park Moyer in long relief and use a three-man rotation, but Tampa still rates the edge here. In the bullpen, with Brad Lidge back as a full-blown killer, the Phillies have it better, particularly as troubled as the Rays’ ‘pen looked in recent games. David Price is the “X factor,” though, as he could well perform the role of K-Rod circa ’02: the young flamethrower coming in for late-inning shutdown work. Will he be trusted to close as he was in Game 7 of the ALCS? I doubt it initially, but it’ll be necessary if those in front of him can’t get it going. Each team has a bit of a funny note to the lineup, although both are strong. For Philly, they’ve got one of the best 1-2-3 punches in the infield in the recent history of the game with former MVPs Ryan Howard and Jimmy Rollins, along with the individual who may be the best talent on the team in Chase Utley. But for whatever reason, the Phils seem to think that because of these young megastars that they can coast with somebody of the ability of, uh, me at third base! Seriously, though, Pedro Feliz and Greg Dobbs are decent as far as platoons go and the rest of the lineup is serviceable to above-average collectively, with streaky power hitter Pat Burrell in the outfield to go along with two blue-collar heroes who have found a home in Shane Victorino and Jayson Werth. Carlos Ruiz and Chris Coste are nothing special behind the plate. Tampa’s weird aspect to the lineup is the fact that they have defied a notion of what they would resemble if indeed they ever made it to this point. Back in 2005-06, I was touting Tampa Bay as very possibly “the next ’95 Indians” in looking at that lineup – which is completely different right now. Subtract Aubrey Huff and Delmon Young (who was still on his way up then, but projected to be an anchor of this lineup when it reached maturity), Jonny Gomes (still with the team, but somebody who peaked and then regressed) and Rocco Baldelli (still a great player when 100% healthy, but somebody who has struggled with injury and illness issues). At that time, BJ Upton was projecting to show much greater power than he did this year, although he lived up to the billing in 2007 and has again very recently. So that part of the core didn’t materialize in the way I thought they would if the team made it this far. On the other hand, add in Evan Longoria (fated to probably become the best hitter of the bunch) and Carlos Pena (who has worked to minimize the hole in his swing and become a dangerous power hitter). Carl Crawford has been a constant all throughout this time. All in all, under manager Joe Maddon, this team shed its aspirations to imitate the Tribe of the mid-‘90s in favor of a more balanced approach. This team runs quite effectively and can scratch and manufacture much like a National League team – or the Angels, the organization from which Maddon was plucked. Ironically, many see the Phillies as more of a prototypical American League team with an offense that occasionally veers towards all-or-nothing power. This style is, of course, less effective in October. The one part of my analysis of the Rays from 2-3 years ago that has held up was the prediction that this team would take great strides forward if they could manage to deal part of their hitting surplus for some strong arms – because outside of Scott Kazmir, and more recently, Shields, this team has historically been really lacking in that area. The Garza-for-Young deal in the offseason was the epitome of such a trade, a rare transaction involving very young players in which one projected as a potential five-tool All-Star and the other projected as a potential ace at some point. Certainly, I thought that if Tampa Bay made the World Series that they would score really high in my “superstar analysis.” Last year, I broke down all of the Octobers since the first one with the Division Series in 1995 to examine how many players who could rightly be deemed superstars at the present time were playing for each team. It’s very strange to consider that, for as star-studded as I consider this particular matchup to be, that it comes in slightly below the average in terms of number of present superstars in this era. Philly has five players who I would slot as stars at the present time: the three big-time infielders, Hamels and Lidge. For Tampa Bay, I would only designate Crawford and Longoria (who, notwithstanding only being a rookie, may well be the team’s best hitter already – and he has a superlative minor-league and collegiate pedigree). 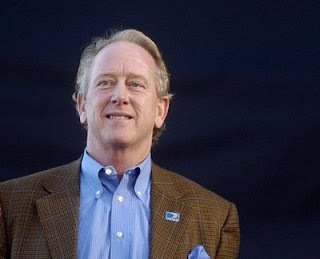 But therein lies the rub: while there is a fairly strong break between the Phillies’ “Big 5” and the rest of the roster, the Rays are crawling with players who could very well be slotted as superstars at this time next year: Upton (who is regaining the power stroke and respect that he lost during a fallback ’08 year), Baldelli (if he can stay healthy), Pena (if he can find a way at this stage of his career to make better contact), Kazmir/Shields/Garza (with more consistency) and even David Price (one of the most dominant young arms in the game). For that matter, Tampa’s farm system, loaded with more potential superstars-in-waiting, could yield even more names to this list very quickly. So Philadelphia’s 5-2 edge in this area is very misleading, because they only have a handful of players you could even make a case for being on that next level: probably up-and-down slugger Burrell and setup ace Ryan Madson. Myers and Blanton are great when on, but are extraordinarily spotty to say the least. I was also wrong in believing that Tampa’s road to the World Series might come to an end because the team did not acquire one more power bat to play right field at the trading deadline. Baldelli’s resurgence, which the team surely could not have counted on at the time, has helped greatly. Suffice to say that they got lucky. While we’re tallying up where I have been wrong, I am only 2-4 in my series predictions this postseason; ironically, my two correct picks were Tampa Bay and Philadelphia in the first round, but I had them both losing in the LCS because of matchups I thought were unfavorable. I am very impressed at the manner in which both teams proved me wrong, Tampa by overcoming the almost insurmountable Boston postseason aura and Philly by getting past what seemed to be a “team of destiny” in the red-hot Dodgers. And should I be proven wrong again on another claim, I am prepared to pay the price. I stated both right here in The Lounge and also on SportsTalkNetwork.com that, as a longtime Charlie Manuel skeptic, I am prepared to eat dog food on the air if he leads a team to a world championship. Let me note that I am very fond of Charlie on a personal level, as he seems to be one of the nicest guys in baseball and I would be very happy for him personally if he were to win and prove me wrong. I just think he’s going to get his lunch eaten by a shark like Joe Maddon. Nothing personal. Ultimately, in the end, I give the edge to the Rays in terms of ability to manufacture runs, depth of starting pitching and managing. I give the edge to the Phillies in late-inning pitching. As such, the wunderkinds who just knocked off the defending world champions should be hoisting their own trophy by the end of the month. Rays in 6. Late last week, the MASTER of bogus polls Jean Schmidt released the results of her latest and greatest fabrication of the truth. In a press release by her incompetent spokesperson Bruce Pfaff and shilled by the likes of a 350-pound guy that lives in his mom’s basement (aka Matt Hurley), Schmidt claims to be up 12 points in her latest poll. Let’s review for a minute, shall we? Spring 2006: Schmidt releases a poll showing her up 25 points on Bob McEwen, end result Schmidt gets 47.75% of the vote and wins by 5.30%. 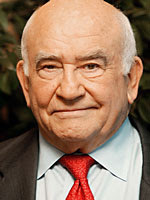 Fall 2006: Schmidt releases another poll showing an 8% lead, end result Schmidt squeaks by in the general election by 1.06%, once again with less that 51% of the vote. In her latest fabrication of the truth, Schmidt claims to have 52% of the vote to Victoria Wulsin’s 38% and David Krikorian’s 10%. Of course, it appears that when Schmidt conducted this poll, she posed the question as: “do you intend to vote for Jean Schmidt, Victoria Wulsin or some other candidate?” BAD NEWS Jean, Krikorian is ON THE BALLOT. His name is right there beside yours, and when people go to vote they won’t see “Independent Candidate” as a choice, only David Krikorian. Does anyone really believe that after you voted to raise the minimum wage and cast a vote for the bailout in the last two years that you are now polling at an all-time high? Jean’s high-water mark in a general election is not at 52%, so how in the world can anyone take her claim that she is polling at 52% today seriously? Only the likes of someone like Matt Hurley who himself “claims” to be a conservative, then gives Schmidt a free pass on her minimum wage hike and bailout votes, could ever be chump enough to fall for that one, Jean. Of course, tools like Hurley are the reason you have made it as far as you have. Any voter with even a slightest sense about themselves will be punching Krikorian’s name in two weeks. Oh, and word is a VALID poll will be released later this week. I can’t wait to write about that one, and I really can’t wait to see Jean Schmidt at less than 40% of the vote in two weeks. 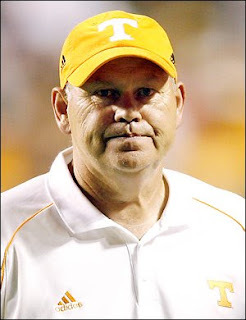 Think about the worst teams in sports in the past decade. Teams like the Los Angeles Clippers, Toronto Maple Leafs, Vancouver/Memphis Grizzlies, (Cleveland Browns? ), St. Louis Blues, etc. But most notoriously, the Tampa Bay (Devil) Rays typically topped each list. The city of Tampa attempted to field a baseball team years prior to the Devil Rays entrance into the American League in 1998. In 1992, there was even talk about moving the Giants from California's Bay Area to Florida's Bay Area. In the eleventh hour, the move was turned down, and the next year, the Giants sign Barry Bonds and the rest is history. 1998 brought two new franchises to Major League Baseball. The Arizona Diamondbacks set Phoenix on fire four seasons later with their first World Championship, behind the leadership of veteran pitchers Randy Johnson and Curt Schilling and outfielder Luis Gonzales. For Tampa, it took a little longer. The organization felt that they can repeat what the Florida Marlins did the previous year by signing veterans. But they weren't just any veterans; they were past their prime. The careers of Fred McGriff, Wade Boggs, Jose Canseco, Greg Vaughn, and Vinny Castilla were on the steep decline, eventually leading to their respective retirements. Tampa Bay did a 180. Instead of signing veterans, they'd give young up-and-comers a shot, usually ending each season in last place. That way, they can sign the first overall picks in the MLB Drafts. This strategy of losing almost on purpose drove Bay Area fans away from Tropicana Field. The teams were in constant disarray and it seemed like the Devil Rays changed their uniforms each season. But team management decided to complete another wholesale change: a new name and a new look. The 'Devil' was dropped from the team name (most likely to appease the religious folk and to protect the children), and the colors were changed from an olive green to shades of blue. The 2008 Tampa Bay Rays caught the eye of sports fans everywhere. Because America loves a good story, the Rays seemed perfect. A downtrodden team that finished in last place a year ago wins 97 games and their first division title. Led by youngsters such as Evan Longoria, Matt Garza, Carlos Pena, and B.J. Upton, the Rays blew past the aging Chicago White Sox en route to the ALCS, where they had to face the defending World Champion Boston Red Sox. The Rays did not appear to be fazed by the blatant favoritism towards the Red Sox. If anything, it was all the motivation they would need as they defeated Boston 3-1 in Game 7 of the ALCS, in front of 40,473 [bandwagon] Rays fans at Tropicana Field. On behalf of all of us at STC/STN, we would like to congratulate the Tampa Bay Rays for making it to their first World Series in franchise history. No matter the outcome, their 2008 season serves as a motivation to all players of all teams of all sports. We've heard much this year about the phenomenon of the so-called Obamacons: opinion leaders on the right who are voting for Barack Obama for president this year as a result of their disgust about the direction of the country under eight years of George Bush and their unhappiness with John McCain's deviation from conservative principles over the years. I disagree completely with the conclusions they draw while understanding that their dissatisfaction is valid. For that matter, I believe that a close friend of mine fits the profile of the individual I painted above. He has made no definitive public pronouncement, and I have far too much respect to ask him outright (one inconsequential vote is not worth jeopardizing a friendship over -- although the comsymp credo of "the personal is political" explains why so many on the left don't have enough respect for their friends and family to keep from berating them into voting for their chosen candidate), so I'm just reading the tea leaves and I could be wrong. To this point, he's elected to be discreet in announcing his preference, although I stress again that my respect for him is completely unconditional. But I want to separate anybody like him from the group that I am about to goof on, because there are those who are climbing aboard the "spread the wealth around" train purely for the attention. This column is specifically addressed to publicity-addicted "Obamacons of Convenience." Take Chris Buckley, for example, who got the attention he wanted for his new book by basically forcing National Review to disassociate themselves from his views -- before he played the martyr. There are others as well in the right-wing media who may not be openly endorsing Obama, but who in their criticism of Sarah Palin specifically (who represents the one decision McCain has emphatically gotten right) are signaling that they are very comfortable having Obama win the election. This means you, Peggy Noonan, Kathleen Parker, New York Times phony house "conservative" David Brooks and neocon warmonger David Frum. Actually, for as much as I think Buckley's being an attention whore, at least he's got the courage of his "convictions" compared to these other passive-aggressive folks taking their little potshots. But we've seen this story before: conservatives who defected to Bill Clinton or Ross Perot in 1992. Now, as a fresh-faced youth at the time who really wanted Pat Buchanan to stick it to "King George" in the primaries that year, I found myself in a similar position in the fall, supporting what I saw as the lesser of two evils and shaking my head in bewilderment at those alleged righties who went on TV to proclaim either Clinton or Perot (who was nothing but Clinton's stalking horse) as the better option for conservatives! Now, Buckley has spoken of how Republicans deserve to lose this time, and if this weren't a zero-sum game where somebody else then deserves to win, I'd agree with him. But as crummy as the GOP did with unified control of government from 2003-2006 (and the first five months of 2001), the Democrats have done even worse since the 2006 midterm elections. Somebody needs to tell Chris Buckley that this ain't a squash game down at the old country club: the country will collectively suffer the consequences if hard-left Nancy Pelosi and her puppets in the Senate and executive branch lead this country off a cliff in the next four years. "So-and-so deserves to lose" is an infantile argument; elections are about who is better poised to handle the next four years -- or, sadly, as has been the case ever since Ronald Reagan left the scene, which of the two bozos on the ballot is the lesser of two evils. Inevitably, many who supported Clinton or Perot had their regrets, as will the pundits knifing McCain who still are capable of reflection and intellectual honesty. So in the eternal spirit of helpfulness, I present a template that will come in handy for the Chris Buckleys of the world in the next four years, The Obamacon Apology Form Letter. With a crystal ball, it can almost serve as a form of Mad Libs! In 2008, I let my frustrations about the Bush Administration and John McCain's many imperfections get the best of me. 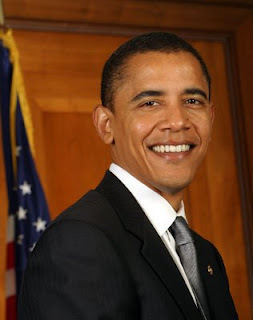 Indeed, I went so far as to suggest that we would be better off with the candidate to whom I regrettably steered many votes through my writing, President Obama. Insane, I know, what was I thinking? The only thing I can say is that I was blinded by my dissatisfaction and I grasped for any alternative in another direction without doing my due diligence. When Obama spoke of "spreading the wealth around," I found it merely a colorful expression of his desire to help people. Little did I know that it was a hint of the __________ yet to come, the federal act that forced __________ into __________ and caused the calamity of __________ . Additionally, I had no idea that his pacifist international policies would yield the results that they did. The horrible nuclear __________ on __________ was truly a frightening spectacle, and the wider __________ in __________ was something I would have found unthinkable back in 2008. And while I knew that Obama had expressed sympathies for those of different "orientations," little did I know what form that would take. The __________ Act of 2009 haunts me to this day. Those poor sheep! Anyway, I have learned my lesson and I'm ready to support anybody who can lead us out of these miserable times in the 2012 election. Yes, even Sarah Palin, who I badmouthed for no good reason back in '08. Congratulations to my all-time favorite athlete, Steve Yzerman, for being named the executive director of Team Canada for the 2010 Olympic hockey competition. I'm as red, white and blue as they come, but I'll have no problem pulling for Canada in any game that doesn't involve the US of A. This proud warrior has just been handed a once-in-a-lifetime opportunity, inasmuch as Canada will be trying to regain the gold medal on their own soil in Vancouver in 2010 (which is less than a year-and-a-half away -- it's really crept up on us). I said it before in my tribute that I wrote upon his retirement (scroll down to July 4 on this page for the column) that he was the reason I became a hockey fan in the first place, long before he ever hoisted his first Stanley Cup. His leadership skills, although somewhat invisible in front of the cameras because of his low-key style, were fierce. He is easily one of the five most respected players in the recent history of the game -- and he was long before he led his team to the title in 2002 on a shattered knee. Notwithstanding the on-ice coach, the executive director has loomed large in the recent history of Canadian Olympic hockey. Players felt in a certain sense that they were playing for Wayne Gretzky, who served in that role, and it was a powerful motivator for them. Imagine how they will feel in 2010 being led by Steve Yzerman, the longest-serving captain in the history of the NHL and someone universally liked and respected. He will have a strong support staff around him, including the great Ken Holland, GM of the Red Wings, so he will have every institutional advantage possible. I believe that Team Canada chose wisely when they selected this icon to lead them forward and I think that the combination of this braintrust and what will be an unmatched home-ice advantage sets up the Canadians as the early favorites in what is always one of sports' greatest tournaments. Oliver Stone's W. was released to movie theaters across the country, in yet another way for the left to shove their agenda down our throats. Surprisingly, the movie received mixed reviews. I was asked by a friend of mine to go see it, but I had to work on Friday night. And even if I were to join him, it would be on his dime. W. is about the life and career of the 43rd President of the United States, George W. Bush. Oliver Stone wanted this movie to prove to the American people that not only was President Bush's reign in office an utter disaster, but his entire life was in disarray. Again, I want to stress that I did not see this movie. In fact, I have absolutely no urge to run out and purchase a ticket. But from what I saw in the previews, it's portrays Mr. Bush as a raging alcoholic, womanizer, and drug abuser. It even showed George H. W. and his wife Barbara screaming at each other like a couple about to sign divorce papers. I overheard an interview with the star of the film, Josh Brolin, and he mentioned that Stone did a great job with the limited information he was given. So basically, Oliver Stone, a respected filmmaker, exaggerated many parts to this movie. Sounds suspiciously like Michael Moore's Fahrenheit 911. I find it rather humorous that President Bush and John McCain's background checks have been made public, but we still do not know anything about Barack Obama. The perception the majority of America has about Obama is most likely a lie. He was not raised poor. If lil' Barry were living in the pits, he would not have been able to attend prestigious schools such as Punahou, Columbia, and Harvard. I would love to bring more about Obama's life to the table, but I don't know that much else. And neither do we. If this man become the 44th President of this great country, I would love to see a movie about him. Actually, I lied. I probably wouldn't see it. The Obama love-fest would go on for so long, many idiotic movie-goers would confuse the man for Jesus Christ. For casting purposes for an Obama movie, Denzel Washington would probably be cast as Barack, and Janet Jackson could be Michelle. Knowing Hollywood, they'd hire Mickey Rooney to portray John McCain, and Sarah Palin would be played by- well, you know who.